Heartburn or indigestion is an uncomfortable burning sensation in the upper abdomen, chest or throat area. For some people, the pain can be unbearable. Doctors often prescribe acid blockers to treat heartburn. 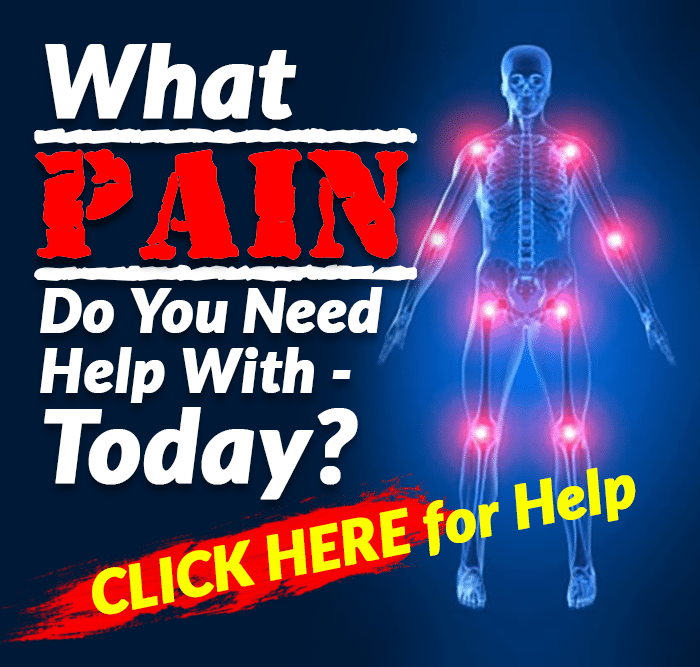 However, prescription acid blockers can cause all sorts of harmful side effects including candida overgrowth, weak bones, fatigue, cramping, ulcers, and malabsorption of vitamins, minerals, and proteins. Natural remedies are the best and safest treatments for heartburn. We searched for the most-effective natural heartburn treatments. 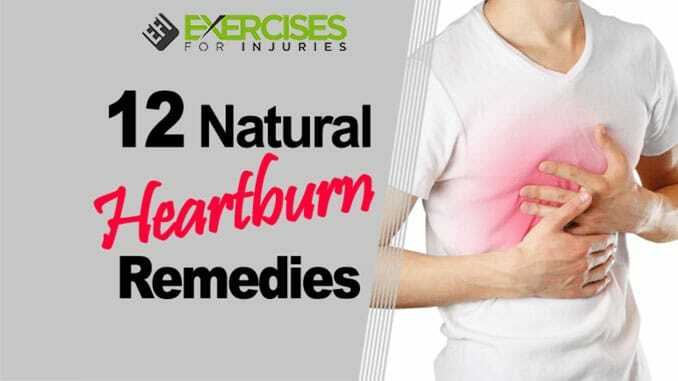 We’ve uncovered 12 natural heartburn remedies for you to try the next time you feel the burn coming on. One of the simplest and most effective natural remedies for heartburn is a handful of raw almonds. Because they are alkaline foods, almonds help neutralize acid in your esophagus and stomach. People who use almonds for heartburn treatment often report instant relief. Eating a few raw almonds after your meal or at the onset of heartburn symptoms can balance the pH level in your gastrointestinal tract and neutralize acid reflux naturally. Some people have also had success with roasted almonds or almond milk for heartburn relief. Marx was referring to the age-old natural remedy of baking soda, also known as sodium bicarbonate, to relieve heartburn. Baking soda is another alkaline food that can balance the body’s pH levels. Put about a teaspoon of baking soda in a glass of water and drink it down. It’s not especially tasty. But it’s been known to work quickly. The thick leaves of the succulent plant aloe vera contain a gel that’s often used for skin care and sunburn relief. Recently, aloe vera gel was found to be an effective treatment for heartburn and acid reflux as well. A 2015 study in the Journal of Traditional Chinese Medicine showed that aloe vera juice relieved heartburn caused by acid reflux as effectively as prescription medications. For some study participants, aloe vera juice was even more effective than leading pharmaceuticals. The researchers surmised that aloe vera juice lowered acid production and reduced inflammation in the gastrointestinal tract. Drink 2 ounces of aloe vera juice, diluted in water, first thing in the morning or before meals to ward off heartburn. Aloe vera juice is not recommended for pregnant women. It also should not be used for more than 2 weeks at a time. Native to Asia, ginger is a flowering plant that has been used for thousands of years in Chinese medicine to treat ailments from muscle pain to diabetes. It’s also widely used for heartburn relief and digestive problems. The journal, Molecular Research, and Food Nutrition published a study in 2007 comparing ginger to the leading acid-blocker pharmaceutical. The results were impressive. Ginger was shown to work six to eight times better than the prescription drug. Ginger also had less harmful side effects and provided additional health benefits to the subjects. For heartburn relief, you can boil a couple of inches of ginger in water to make a tea, chop the ginger and add it to sweet or savory dishes or chew on a piece of raw ginger until your heartburn symptoms are gone. Crystallized ginger, real ginger ale, and ginger candies are also effective in treating digestive upset. It’s not just for hot dogs anymore. Plain old yellow mustard is an excellent natural remedy for heartburn. Mustard is an alkalizing food, which helps neutralize stomach acid and quickly balance pH levels in the digestive tract. It is recommended to take 1 teaspoon of mustard straight off the spoon and chase it with a glass of water for fast relief of heartburn. Some say you can also mix a teaspoon of mustard into a glass of water and drink it. Either way, it’s an effective heartburn treatment for most people. Even though lemon juice is quite acidic, when it’s combined with water, lemon juice can be alkalizing and may help neutralize stomach acid. Also, the journal Digestive Diseases and Sciences published findings that suggest consuming foods high in ascorbic acid — like lemons — can help keep the stomach healthy. Squeeze the juice from half a lemon into an 8-ounce glass of water and drink it before or after a meal. Lots of practitioners recommend beginning the day with a glass of water and lemon juice. The simple act of chewing gum can help reduce acidity in your digestive tract. We produce more saliva when we chew gum. The extra saliva dilutes the acid and can eliminate heartburn. A study published in the Journal of Dental Research reported that chewing gum for 30 minutes after a meal can reduce acid reflux and the symptoms of heartburn. Choose a gum without sugar or artificial sweeteners. Look for chewing gum with xylitol, a natural sweetener that doesn’t affect blood sugar or cause cavities. Chew a piece of gum after your meal or at the onset of heartburn for relief. While the ancient Romans used fennel because they thought it could fight off evil spirits, these days we normally use fennel to fight off heartburn, bloating and gas. Fennel is a flowering herb that’s easy to grow. The seeds from fennel are especially helpful for treating heartburn. Chew on a few fennel seeds after your meal or when you first feel heartburn or indigestion. Fennel seeds have been shown to strengthen the stomach and relieve pain associated with heartburn. Fennel tea is also helpful to relax and soothe the intestinal system. Sauerkraut, yogurt, pickles, and kimchi are all lacto-fermented foods. These foods provide an excellent source of probiotics to the body. 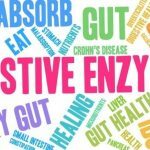 Probiotics are the good bacteria that help the digestive system function optimally. If your digestive system doesn’t have enough good bacteria, the bad bacteria will take over and cause problems that will lead to heartburn and indigestion. Work some fermented vegetables or kombucha into your regular diet to help keep a good balance of beneficial bacteria in your digestive tract. 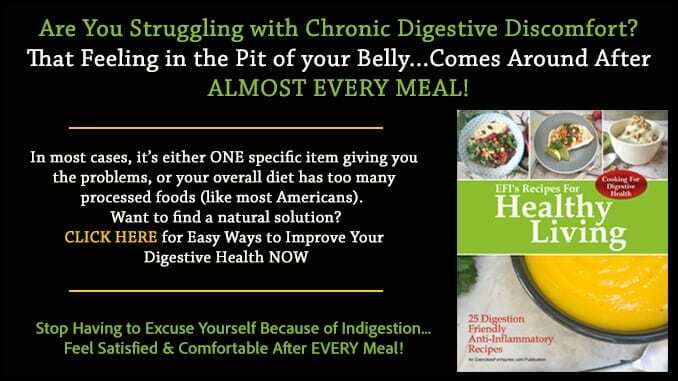 As the microbes multiply and populate the lining of your stomach, heartburn and indigestion will be eliminated. Many heartburn sufferers have found relief by adding apples to their daily diet. Apples contain both malic and tartaric acid that can neutralize acids in the stomach and through the digestive tract. Apples also contain tons of fiber in the form of pectin. The fiber absorbs acid and helps keep things moving digestively. Have an apple whenever you’re feeling heartburn. Eat an apple as a snack to help prevent future flare-ups. Coconut water is the slightly sweet liquid inside a coconut. If you have a coconut, you can drill a hole through the shell and the meat, insert a straw and sip out the nutrient-rich coconut water. It’s healthy in many ways. However, for those with recurrent heartburn, coconut water can be extra beneficial. Coconut water is another alkalizing fluid to help neutralize your stomach acid. 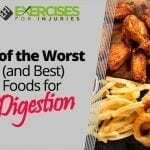 It also stimulates mucus production in your stomach that can protect it against excess acid. Coconut water also contains fiber, which improves digestion and prevents the overproduction of acid. Coconut water also cools and soothes the lining of the stomach. Try drinking about 8 ounces of coconut water a half hour after meals or when you’re feeling pain from heartburn. Drinking coconut water every day can eliminate your heartburn for good. The bark of the slippery elm tree has been used for centuries by Native Americans to treat coughs, colds, viruses and digestive discomfort. It’s also a terrific natural remedy for heartburn. 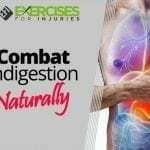 Slippery elm contains a substance that coats the lining of the stomach and digestive tract to provide extra protection against excess stomach acid. It also helps to alleviate any inflammation along the way. For treating heartburn, you brew slippery elm bark and drink it as a tea. It’s also available in tablet form. Either method of consumption is quite beneficial. Many reports that after taking slippery elm for just a few days, they no longer have symptoms of heartburn or indigestion. Healthy adults should drink a cup of slippery elm tea or take tablets three times a day until heartburn is no longer a problem. Slippery elm should not be consumed by women who are pregnant or nursing. Ditch the prescription acid blockers and the over-the-counter antacids and try one of these simple remedies from nature’s medicine cabinet the next time you’ve got a touch of heartburn.